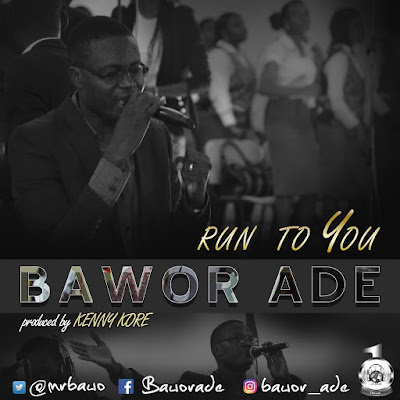 Bawor Ade drops is new single titled: Run To You. With a contrite heart and a broken spirit, Bawor Ade sings a tale of a repentant sinner who’s finding his way back to the Throne of Mercy. Like the story of the Prodigal Son, this lost man would rather run back to the Father than to wander and allow aimlessly in this wicked world. The song was produced by Kenny K’ore. Bawor Ade is a gospel artist whose music comes with a blend of English and Nigerian Languages. His music is a mixture of Rock, Pop, African R&B and Reggae with lyrics drawn from the word of God (Bible). The Osun State-born Bawor Ade grew up in Warri, Delta state, Nigeria and now resides in Minna, Niger State. He is married with kids. Early in Life, Bawor developed a keen interest in Music and Dancing, quickly learning new things and demonstrating a natural flair for creative arts. This hobby soon turns into a passion in 2001 when he brought together young men like him to form the group ‘ONE DREAM’.